When the skeleton of a baby is found on a building site, journalist Kate Waters makes it her mission to uncover what really happened. There’s four POVs throughout this story- Kate’s, Angela, Emma, and Jude. Kate of course is constantly digging and interviewing everyone for more information on the baby. Angela lost her baby over 20 years ago and is holding out hope that this skeleton could be her child. Emma is struggling with anxiety and is very concerned about the discovery of this baby. Jude is Emma’s mom but they are not on very good terms. For reasons of her own, Jude is also interested in the baby. Relationships are tested, secrets are uncovered, and the truth finally comes to light. 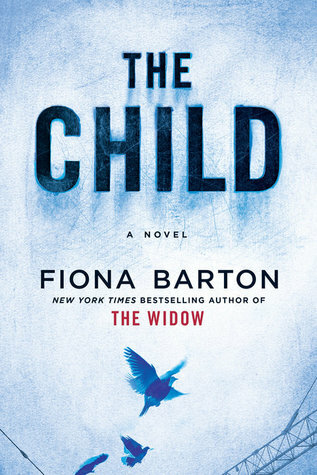 Just like in her debut novel The Widow, Barton weaves a tale that leaves your head spinning! I gave this book three stars because I felt the pacing was a little drawn out and slow at times but the ending definitetly made up for it. The Child made me feel all sorts of emotions-shock, disapproval, and heartache. Overall it was an expertly twisted mystery. Thank you to Netgalley and Berkley Pub Group for the opportunity to read this novel. Previous postMy Top 5 Favorite Books I Read in 2017!